Need Help With Choosing Your Samburu Accommodation? 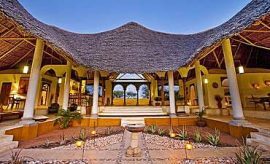 Scroll Down..
Accommodation choice in Samburu can mean the difference between having a dream vacation in northern Kenya or being disappointed with the entire experience. Accommodations not only need to give you a comfortable and safe place to sleep, but should also match your personal style of traveling in Africa in relation to an expert guided tour, opted in a preferred discerning location with maximal wildlife experiences. 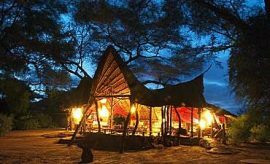 As professional safari experts with inside knowledge of Kenya and all that she offers, we can guide you in making a lodging choice that will satisfy your every wish. 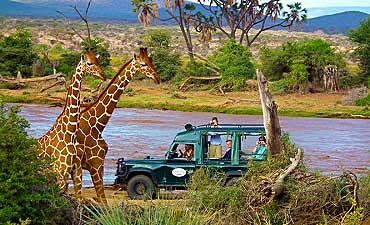 To begin your journey, AfricanMecca offers the unique Safari Tier System that we have personally developed for our guests. Each accommodation is independently evaluated on several criteria from a guest perspective, including the quality of the rooms, food, service, location, exclusivity, guided experiences and much more. Choose from the luxury premier Tier 1, mid-range deluxe Tier 2 and value budget Tier 3. 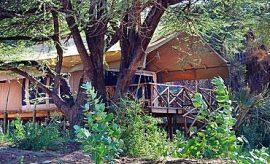 Although your remote safari in Samburu takes you into a pristine wilderness (read more on the best time to go) far from the hustle and bustle of more popular mass presence, you can still enjoy the many qualities of an up-market boutique accommodation in such inaccessibility. We recommend Sasaab, Saruni Samburu and Elephant Bedroom Camp to guests who desire the best location and guides, superb luxurious quarters with elegant design elements, limited number of guest rooms, edible creations to satisfy to most refined palate, just to name some of the exceptional features of these accommodations. Sasaab offers nine guest tents with full en-suite bathrooms. At the center of your spacious 100-square meter tent is a romantic four-poster bed tastefully complemented with a neutral color palette and touches of deep, rich red and natural wood. Elephant Bedroom Camp features twelve large guest tents nestled within the woodlands along the Ewaso Nyiro River. 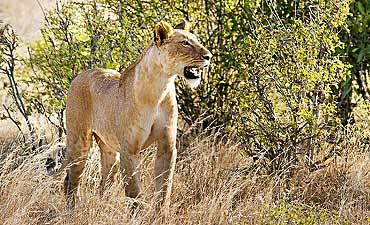 At both accommodations, you have a private verandah to immerse yourself in nature and wildlife. Saruni Samburu, a lavish option preferred by AfricanMecca, is sited in the private Kalama Conservancy with six intimate villas, all affording superb views of the rugged outback and its distant hills. Find the perfect balance of quality and price at our two Tier 2 recommendations – Ashnil Samburu Camp and Elephant Watch Camp. Ashnil Samburu Camp features thirty guest tents with almost 360-degree views from inside, as well as open views from your private verandah. 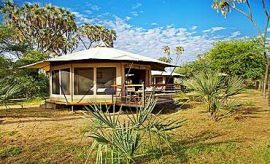 Each guest tent is situated along the Ewaso Nyiro River so you can watch the wildlife drink, bathe and graze. 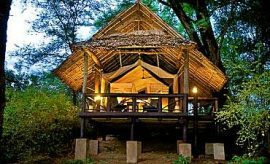 Elephant Watch Camp is also situated along the river and is constructed out of reclaimed logs, thus fashioning a rustic setting within the bush. Each of the six guest tents features an en-suite bathroom built around or close to indigenous trees, and a bucket of water for your shower is heated by solar panels. The flamboyant charm and whimsical touches of the décor ensures that it complements your appreciation of an authentic Kenyan wildlife and cultural safari. 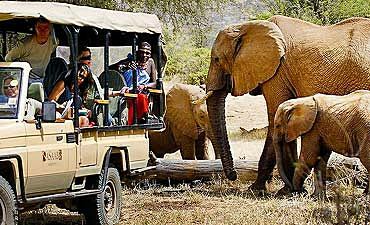 For budget-conscious travelers at Samburu National Reserve, you can opt for Samburu Game Lodge, Samburu Sopa Lodge or Samburu Simba Lodge. The pioneer Samburu Game Lodge features sixty-one en-suite guestrooms on ten acres of land along the Ewaso Nyiro River, and Samburu Sopa Lodge is a celebration of the Samburu culture with its thirty cottages that houses sixty rooms. The architecture is based on traditional Samburu homes, and the artwork of these indigenous people adorns the walls of the common areas. 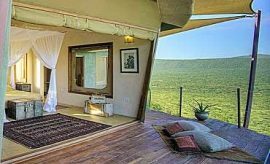 Samburu Simba Lodge in the nearby Buffalo Springs wilderness is another value option that offers seventy rooms sited in clusters of ten in each of the seven villas.